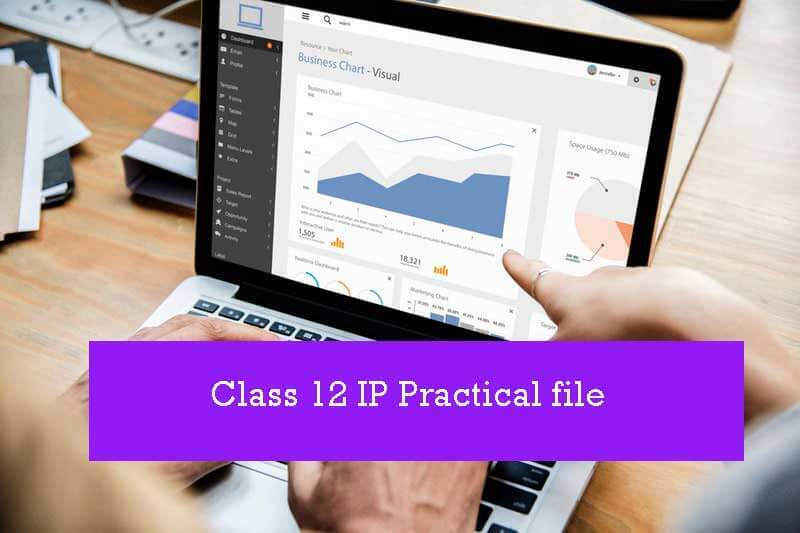 Class 12 IP Practical file is an integral part of Class 12 IP Practical Examination. A Class 12 IP Practical file should contain a prescribed set of the experiment in that file. This IP Practical file worth 6 Marks. As per the CBSE guidelines, this file should have experiments based on normal swing controls like label, text fields, Text area, radio buttons, check boxes, list box, and combo boxes. Database connectivity is also must for this file. 4-5 Experiments on Database connectivity with NetBeans. Note down the list of experiments for class 12 IP students from CBSE class 12 IP Syllabus. Perform one Experiment at a time in your Lab, Properly comment out your code. Make it sure your code is well indented. Take the printout of this newly created Word Document. Repeat this process for all the experiment suggested in your syllabus. A practical file is the experiment record that you perform throughout the year. So make it very sure these blunders should not appear in your Practical file. It should not contain the Date and time of your system if you take all print-out in a single day. Every experiment should have its output screenshot as well as Coding. Each experiment should have a different date and time stamp.